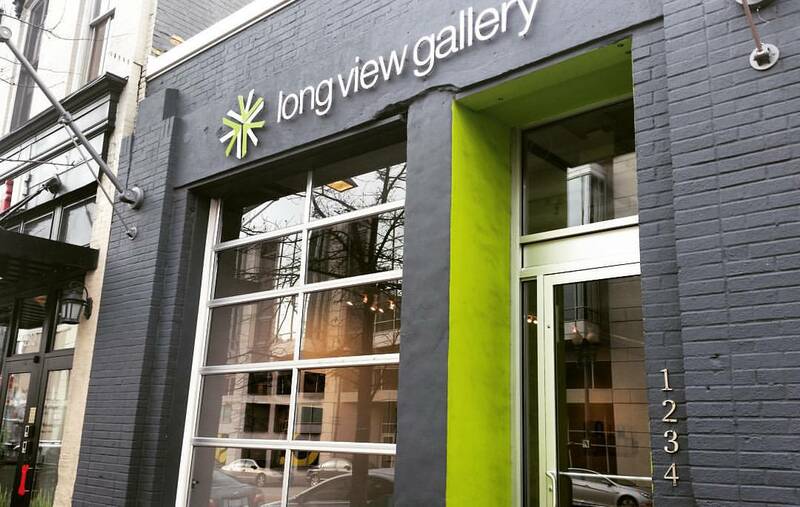 A few weeks ago, I had the amazing privilege of participating in The KAD Diaries photo shoot at the beautiful Long View Gallery on 9th Street in DC. This was the second photo shoot for this photo art project filmed and photographed by LA-based filmmaker, Zeke Anders. 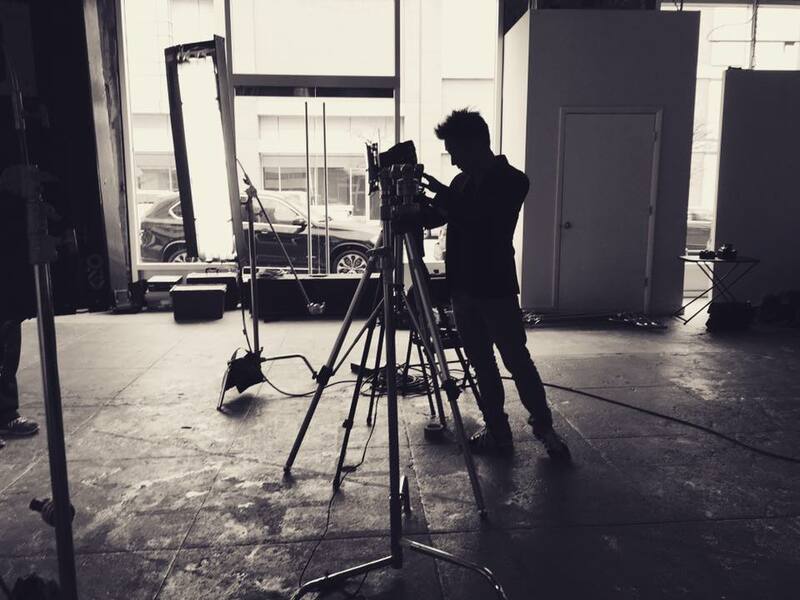 A couple of months ago, the first photo shoot for the KAD Diaries took place in the Venice Arts Gallery in LA and was a huge success. 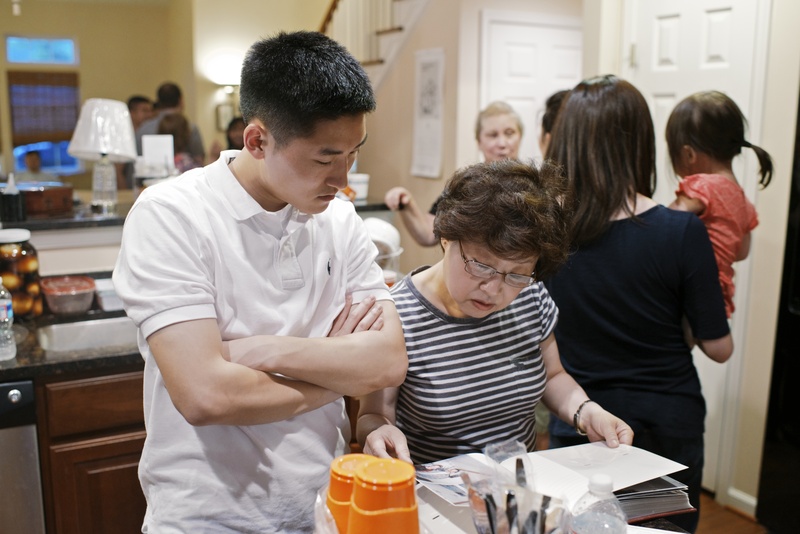 Zeke wanted to expand the project to include more stories from Korean adoptees on the east coast. So, in collaboration with Adoption Links DC, The KAD Diaries DC photo shoot was born. 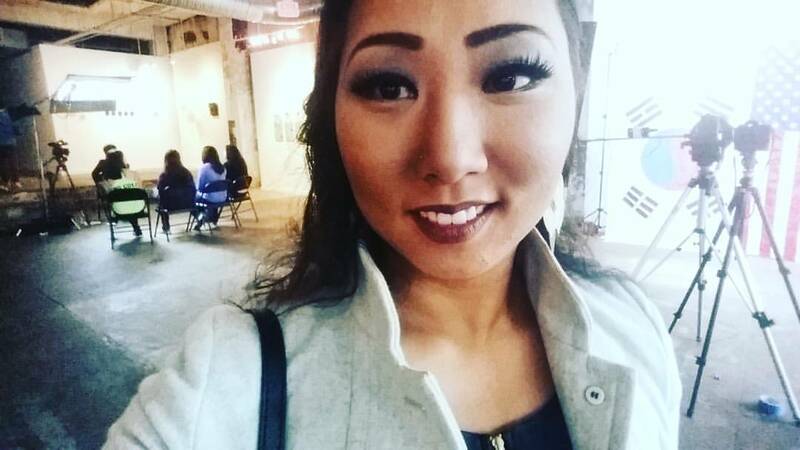 The DC event was a huge success, capturing about as many adoptee accounts as the LA shoots, which were held over two dates. Friday before the shoot, I met up with some really cool Korean adoptees in the city. 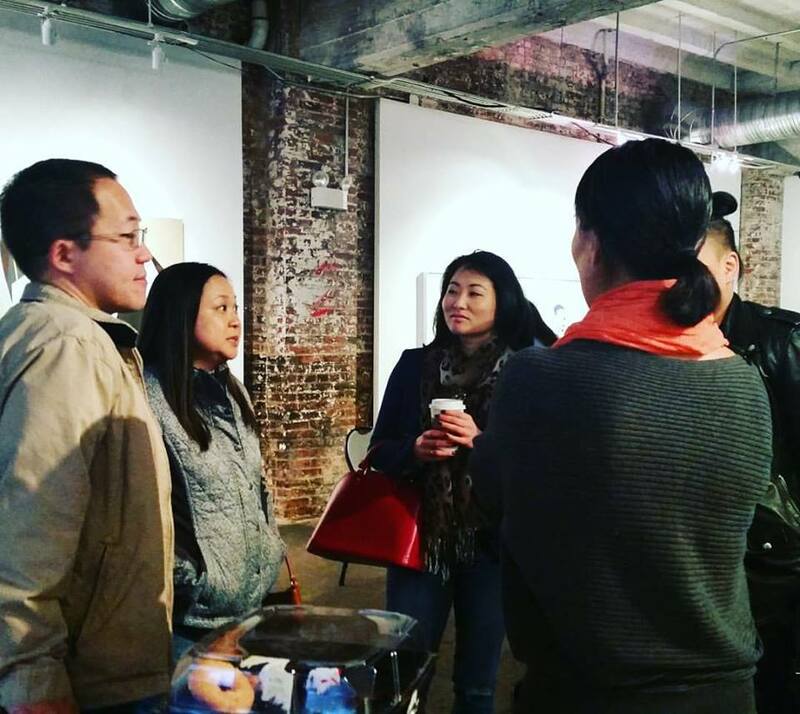 It was so nice to share stories with other Korean adoptees who shared a lot of my experiences. A few already reunited with members of their biological families, just like me. A few just started their searches. 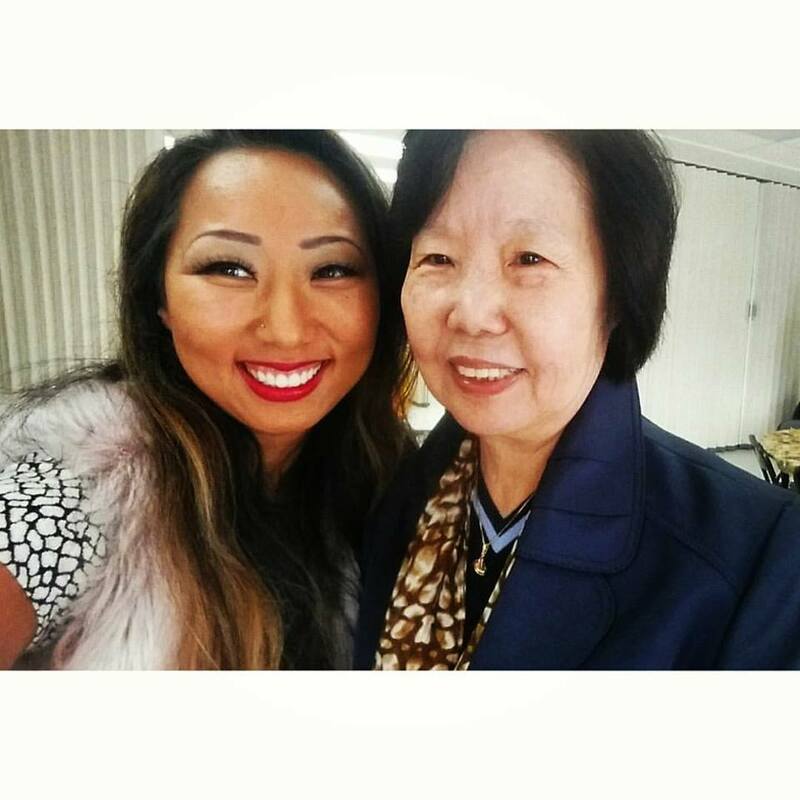 One fellow adoptee discovered that he had biological relatives that immigrated to the US from Korea, just like me. We both reunited with our biological families a little over a year ago. We both shared how meaningful, challenging, and emotional the reunion experience was and how it shook us to our cores. I shared how I felt like I was a teenager trying to figure out who I was all over again. Before my reunion, it was like my whole identity was based on the fact that I knew nothing about where I came from or who my biological family was. And after my reunion, I had to rebuild my identity merging the two worlds. He could definitely relate. Each attendee had the opportunity to share his or her experiences during a filmed group interview session. 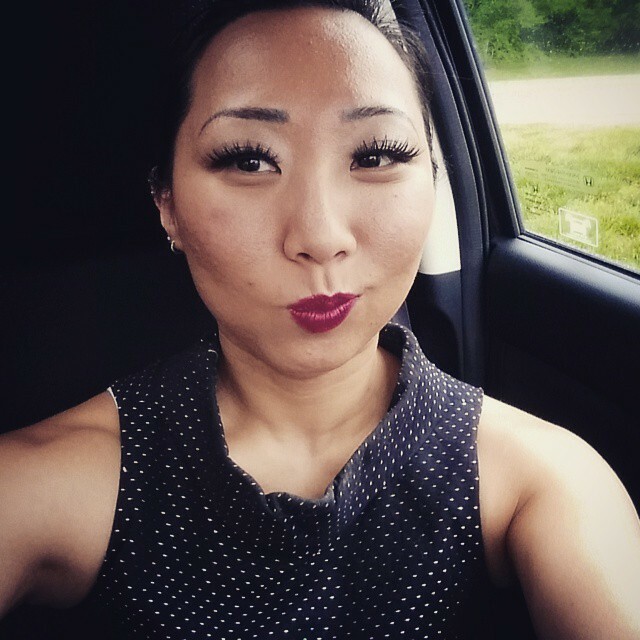 We talked about our experiences growing up in a transracial adoptee situation, experiences with racism, birth family reunions, and experience with religion in the context of being adopted. It was so amazing to connect with other people who could relate to so much of what I experienced growing up as a Korean adoptee. Amazing to hear how similar our experiences were as well as how unique each of our stories were. Most adoptees were infants or small children when they were adopted. We all described various experiences growing up where we had to explain our situations. One girl who was adopted as an infant shared how someone actually asked her adoptive parents how they could understand her growing up since they didn’t speak Korean. Almost as if she was born speaking Korean to them even before learning her first words. Many of us encountered people who actually became upset when they discovered that we didn’t speak Korean, not understanding that many of us were never exposed to the Korean language. I said, that growing up I had a beautiful life– one that I am very thankful for. So, I always wanted the opportunity to tell my birth family that I was okay, that they made a good decision, and that I’ve been really happy in my new life. If I ever had the opportunity to meet my biological parents, I would tell them that I was thankful for bringing me into the world and for making the tough decision to let me go for the chance of a better life. There was definitely a camaraderie among us through our shared experiences. There were moments when we were at a loss for words and even struggled to hold back tears. I related to so many of the difficult things each of my fellow interviewees experienced. After a tear-filled moment toward the end of our interview, we all shared a group hug! 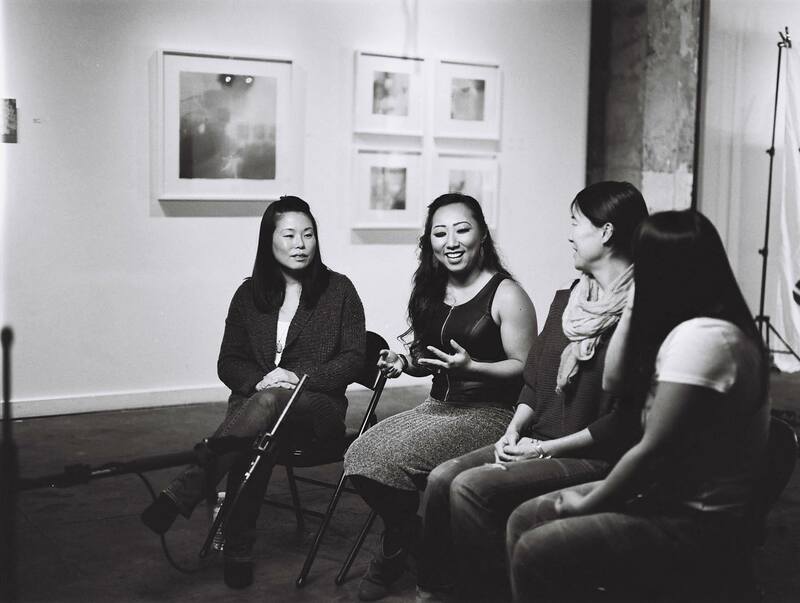 One of the most emotional moments for me was when a fellow adoptee was asked a tough question. She thought about her response and then asked to pass on answering as she fought back tears. Her silence actually spoke volumes to the stories that we each had. That the lives we’ve lived and the challenges that we’ve faced were entire volumes of unspoken joys and challenges that often couldn’t be expressed in words. And sometimes, instead of words– tears speak. 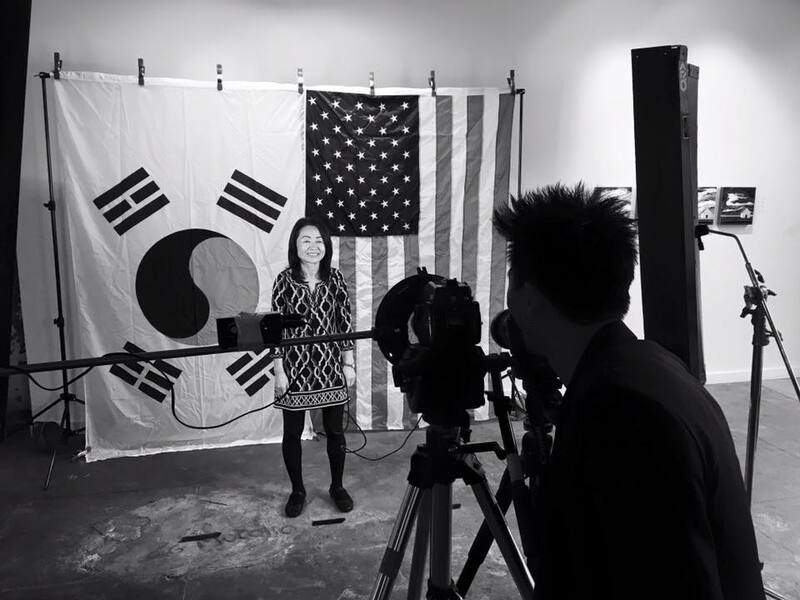 Just like at the LA photo shoot, participants chose to stand in front of the Korean flag, the American flag, or in the center of the two while Zeke Anders shot their portrait. This was a nice depiction of the internal struggle that every Korean adoptee faced– the feeling that they were often being split between two different cultures, two different families, and two different lives. I’m really grateful for the opportunity to participate in this meaningful project and to connect with these lovely Korean adoptees, or “KADs.” I felt like they were more than new acquaintances. It felt like we knew each other for years– a KAD family who already proved to be a huge circle of support. Their words and personal stories shared during this art project meant more than words could express. And I’m excited to be part of this newfound community. 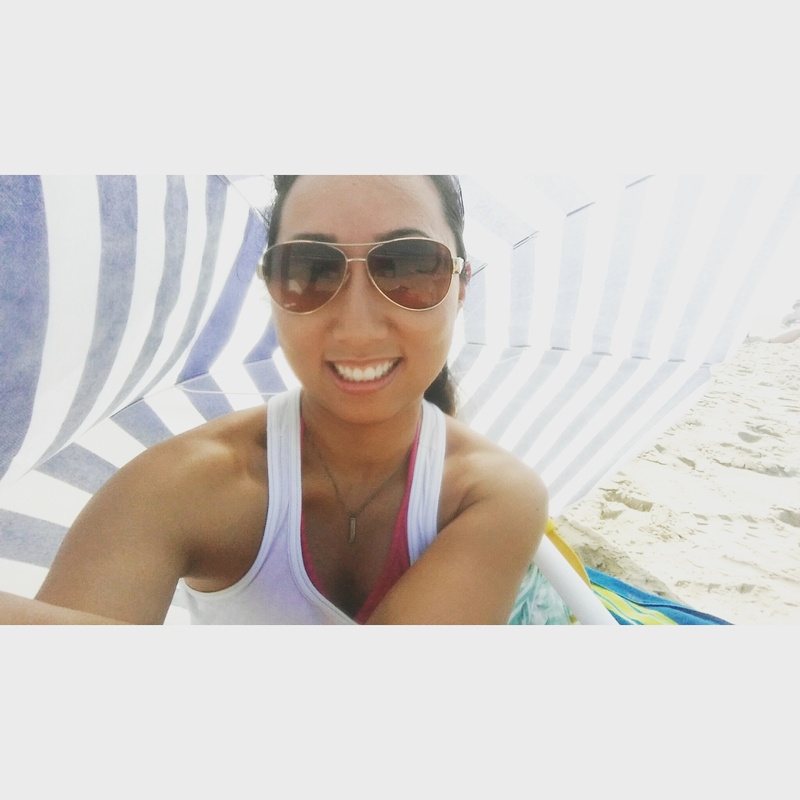 In the past year following my birth family reunion, I’ve learned some incredible life lessons. Truly amazing! This blog was an incredible space to share these experiences. One thing I’ve learned is that you can really and truly talk to people who are already in heaven. I am convinced of this. 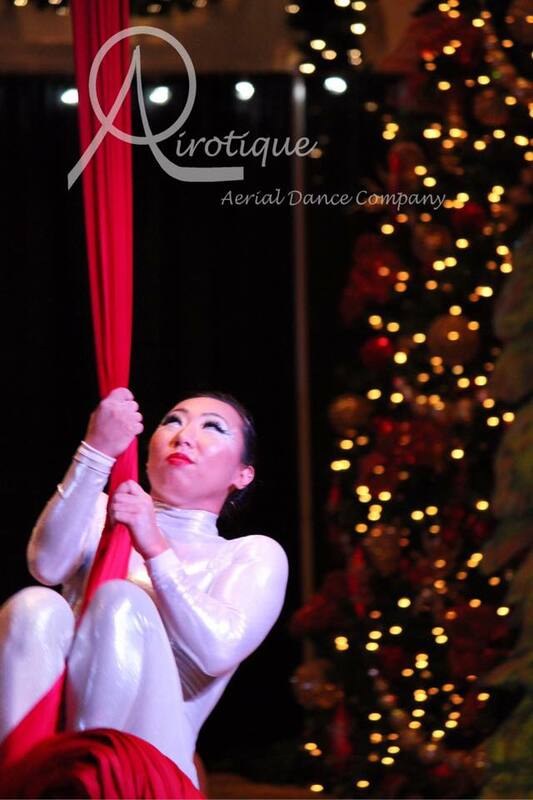 A few weeks ago, I performed in my first live aerial performance at the Founder’s Inn Grand Illumination event with Airotique Aerial Dance Company! Just before it was time for me to stand up and perform my routine, there was a space of time where I was seated on the dance floor awaiting my turn to rise and stand up to climb the silks. I don’t know why my mind wandered to where it did, except that it was really my birth mom poking me from heaven! I sat with my knees leaning toward one side, looking out at the audience, taking everything in. All of a sudden, I had this enormous sense that my birth mom was looking down on me from heaven. She was there to watch me perform in my first show. In my heart, I heard her say to me, she was there. She also clearly told me that she was so glad my adoptive mom, Doris, was there, and that she couldn’t have chosen a better person to raise me. She said she was exactly the person she wanted to raise me, and she was so happy that my adoptive mom, Doris, was my mom. I immediately welled up with emotion, and my eyes filled with tears! Soon after, I quickly snapped out of that transcendent experience and landed my consciousness back to the dance floor where I was seated, and to the silks in front of me that I soon needed to climb. My thoughts returned to the ballroom just in time before the tears were able to stream down my face, thankfully. It was such an emotional and powerful experience! I’m not sure why it happened when it did– right before my show. I took it as a signal that I was meant to find aerial arts, and connecting with my birth mom at that moment was another sign that aerial dancing was meant to be with me for a while longer. It could’ve also been because my birth mom knew that this was important for me, so she wanted to cheer me on and let me know she was with me. I don’t think I know the full reason yet, but I get the impression I will. When choosing the photos for this post, I debated between the one at left of me climbing the silks at the performance and another shot of me seated on the ground. I was feeling attached to the one of me seated on the ground because I had a clear look of badass determination on my face, and my make up lines looked exactly like Natalie Portman in Black Swan. However, that photo was a little out of focus. So, I asked my husband which one he thought I should choose based on what I was writing about. He said he liked this one because it looked like I was climbing to heaven. Such a sweet sentiment! He’s definitely a keeper. Hope this post finds you well this holiday season! As a new speech pathologist in my twenties, I used to spend so much time pouring over my paperwork– creating reports that I felt were “perfect.” It took so much time and energy, and often led to work piling up. It occurred to me one day that the people reading the reports often valued succinct writing rather than superfluous writing. And, if my reports took me so long that they weren’t getting out to the person needing to read them on time, then no one would be needing them or reading them anyway. This got me thinking about the reasons why we do things and the meaning behind them. The reason I write my reports is to communicate with the people who need to know the information — be it the neurologists or surgeons or other doctors involved in the patient’s medical care. If I write a report and no one reads or understands the information, what is the point? Sure, I write shining reports because I take pride in my work. But, my writing means so much less if it just sits in a stack somewhere, unread. This idea translated to more than just the reports I wrote. I started thinking about how incredibly meaningful it is to have someone witness the things that happen in my life. Within my speech therapy practice over the years, I worked with a very sweet college-aged client who experienced a traumatic brain injury. She saw me for speech-language and cognitive linguistic retraining to regain those skills after her accident. Her memory began to improve a couple of months after her injury. She was really glad she started to remember things, because she said. “It [made her] parents happy, and that [made her] happy.” It was really sweet to hear her say what she said. I could tell she wasn’t worried about recovering just because she was interested in pleasing her parents. It was deeper than that. She was happy to see how relieved they were when they saw her remembering new information because they loved her, and she loved them. Being part of a family takes the things that one experiences as an individual to another level in meaningfulness. The good and the bad things that happen in your life don’t just mean something to you, they mean something for someone else too. And that connection and shared meaning is where true beauty in life happens. I think that’s why having a partner in life is so meaningful. Not to mention the friends and families in our lives, too. When life gets rough and things go awry, you can rest in the fact that someone cares about you and is there for you, no matter what. When your car breaks down, or your house is broken into, or your health takes a turn for the worst, you can ask someone for help. When something really great happens in your life, you can call him or her and share this awesome news with someone who knows how much it means to you. There were periods of time in my life where I felt that I didn’t need anyone else in my life. I’ve grown from that and realized how relationships are actually at the core of what it means to be alive. Life is so much richer and more meaningful when you share it with others who you care about and who care about you. As an adoptee, it’s incredibly difficult to not know anything about your past before your adoption. Sometimes it’s like you didn’t even exist before your adoption. Looking at what life looked like before your adoption, it’s like looking into a black hole where all you see is nothingness. Maybe it’s because you don’t know who the people were who were in your life at that time. Maybe also because you don’t know what your life looked like at all. My (adoptive) mom Doris now has a lot more connections and people who care about her. And that means a lot to me. It speaks to the human spirit to be able to share life with other people and to be able to share love and kindness. Not to mention how meaningfulness in life definitely makes life richer. After I reconnected with my bio family, I felt like I regained some long lost missing pieces and am really grateful for these new relationships in my life. They’ve truly meant the world to me.